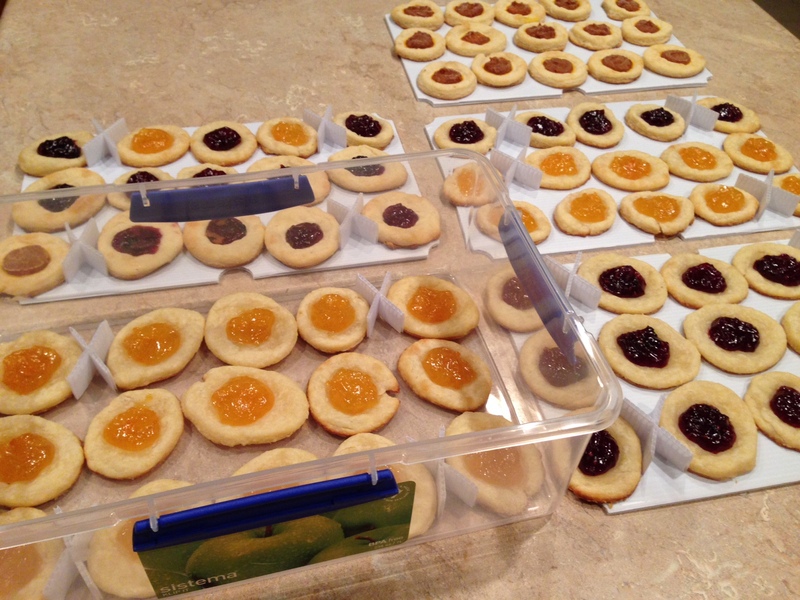 Thumbprint cookies are NOT just for the holidays! In fact, they are perfect for summer when the berries are harvested. By preserving summer berries, we are able to enjoy them year round. 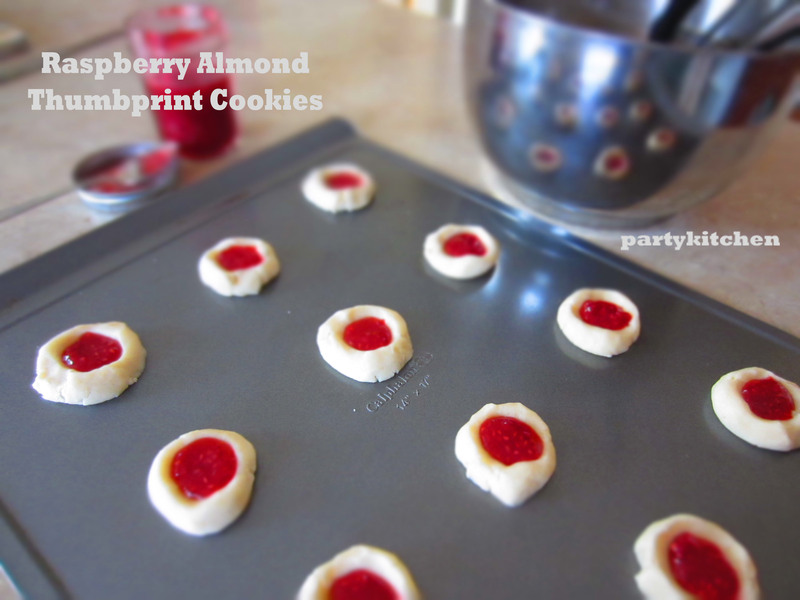 These thumbprint cookies are so easy, using a handful of ingredients and buttery delicious. Use any flavor jam, but the homemade sweet U-Pick Raspberry Preserves are the perfect topping! Using and electric mixer, cream the softened butter and sugar on high. Add the almond extract. Lower the mixer speed and gradually add the flour. Refrigerate the dough for one hour. Preheat the oven to 350°. Shape the dough into 1 inch balls and place on an ungreased cookie sheet about 2 inches apart. Make an indentation using your thumb in the center of each ball. (I make two thumbprints at 90 degree angles, to make a better circle) Fill each center with about 1/4 teaspoon of preserves or your favorite jam. Bake for 12-15 minutes until the edges are lightly browned. Remove to a cookie rack. 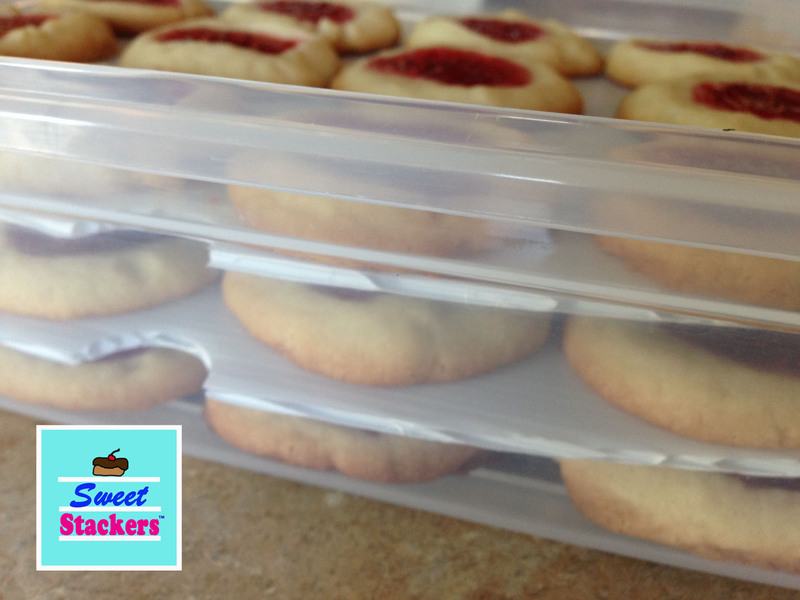 Sweet Stackers – No matter what time of year, Sweet Stackers come in handy to store jam or jelly filled cookies. 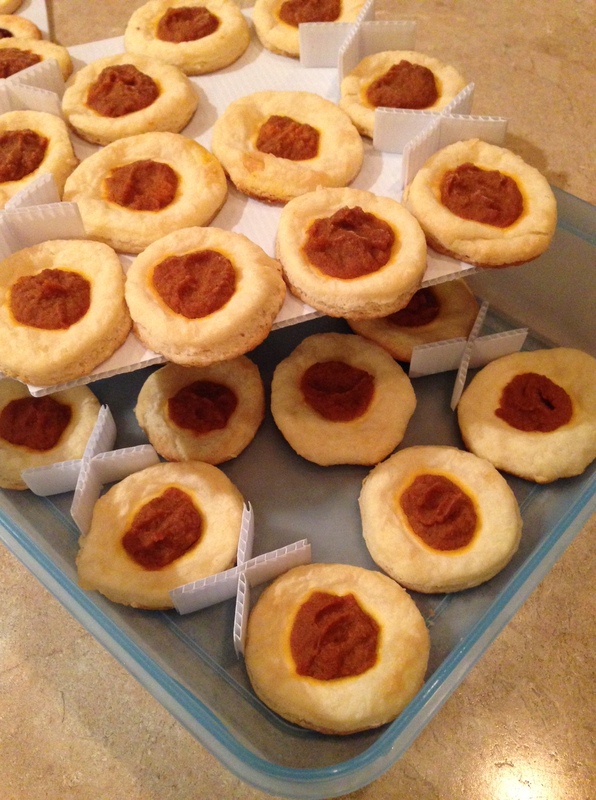 Thumbprints are very popular holiday or Christmas cookie. 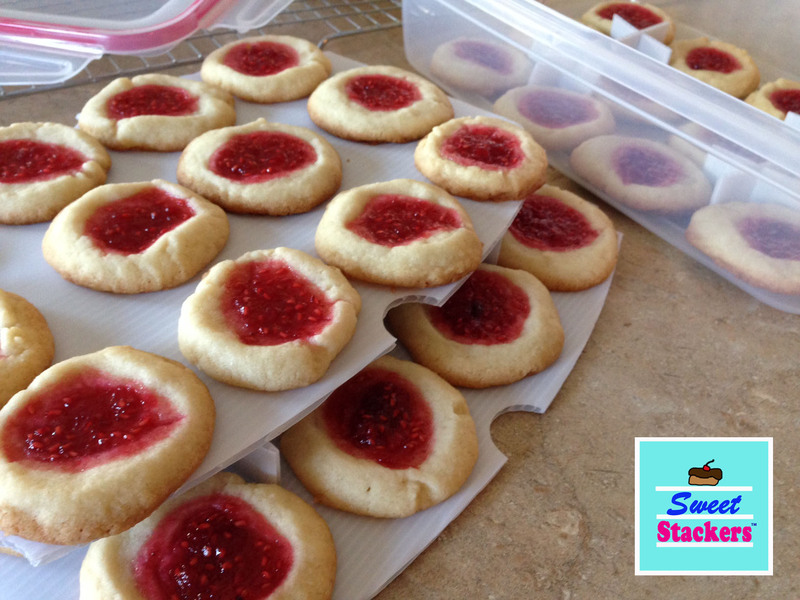 You don’t want to mess up the jam toppings or have them stick to other cookies! 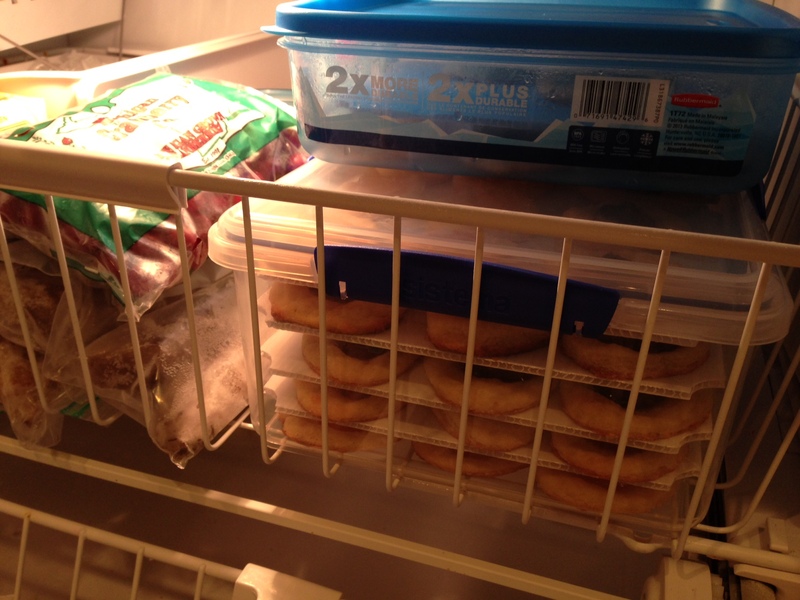 Sweet Stackers convert your air-tight containers to multi-level using corrugated plastic stackable trays. They are an inexpensive storage solution and can easily be wiped down and reused. Visit sweetstackers.com to learn more about this product or shop on Amazon or my Etsy shop. Look! 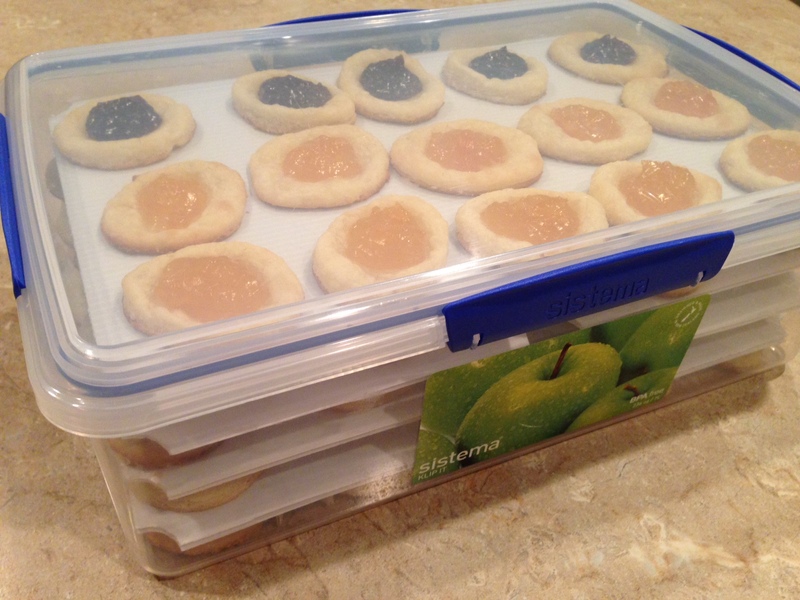 3 dozen cookies without a sticky mess in 1 container!